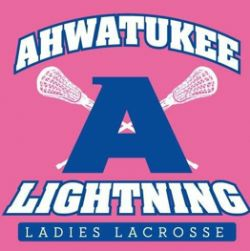 Ahwatukee Lacrosse is dedicated to growing the sport by teaching new players the basic skills of the game and providing a team structure to expand their skills up to a competitive level. We have a great group of experienced head coaches, assistant coaches, and volunteer parents who strive to provide a fun, safe, positive, and rewarding environment for Lacrosse players and their families. The new Misfits box lacrosse program is hosting a five-week summer league that starts June 1. 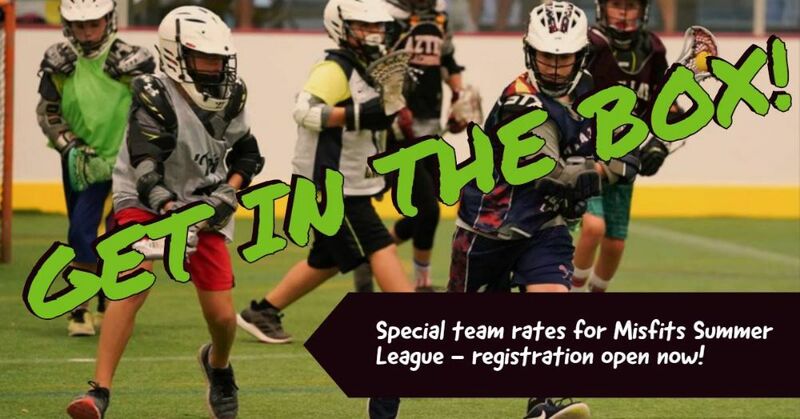 Ahwatukee players are offered a special discount on the registeration fee if they register at http://misfitsboxla.com/ahwatukee. Registration closes May 1! Practice sessions and games will be Saturdays at "the Barn" in Queen Creek. Box lacrosse is an indoor version of lacrosse, played on turf inside a hockey rink. With only six players and not out-of-bounds, the play is fast and furious, and every player is guaranteed plenty of touches. Box lacrosse is a fantasic way to quickly improve stick skills and 'Lacrosse IQ.' Contact Kyle Mox with any questions - tukeelaxprez@gmail.com. Ahwatukee Lacrosse has negotiated special pricing with Warrior Lacrosse - visit the online team store to start shopping today! Great deals on starter packages, helmets, cleats, sticks, and bags! In addition to the great pricing, the Ahwatukee Lacrosse club also receives 10% of all sales! Our website has a ton of functionality. Here is a list of tips to help you stay organized this season using our site and the League Athletics App. 1. 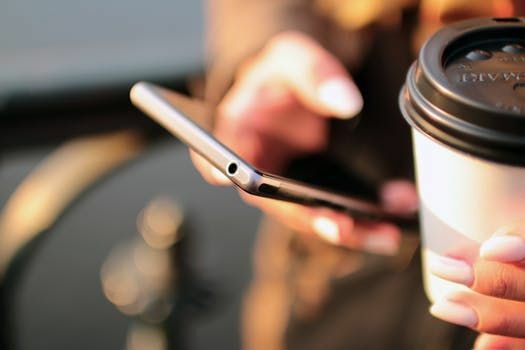 Keep your profile up to date so that you receive email and/or text notices of practices and games (in Spring), emails from your Coach, and the weekly Lightning Shots Newsletter. Login to the site, Go to (My Account) to manage your profile settings. 3. Check your Team's Home Page for Team Specific News, Coaches Contact Info and Roster/Contact Information. 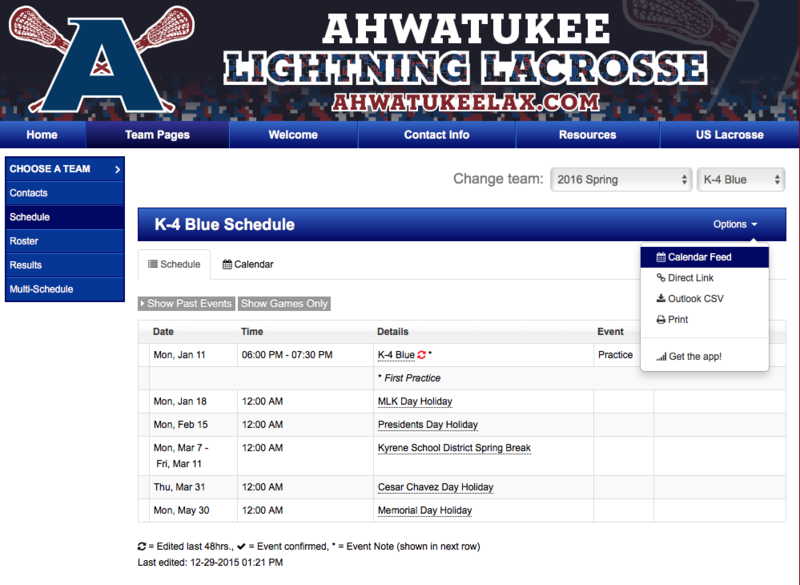 Login to the site, Go to (Team Pages), Choose Team, see menu on the left for Contacts, Schedule, Roster and Multi-Schedule (helpful if you want to see more than one Team's schedule at a time). 4. Load the SI Play App on your phone and login to your Account to see the information for your Team(s). This is an incredible resource. See your Team Home Page, Schedule, Roster, and get Team Emails, all in one quick and easy place. Be sure to load it and logon today. Link to the app is in the header of this page! 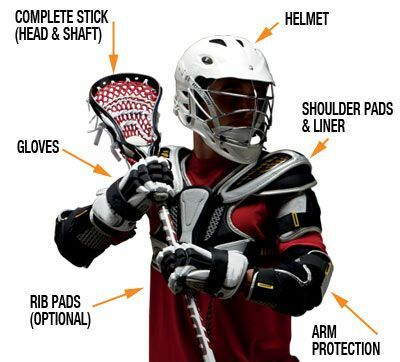 Awhatukee Lacrosse is affiliated with Warrior Lacrosse for our equipment needs. Any member of the club can receive significant discounts on lacrosse gear by shopping at http://bit.ly/TukeeGear. The club also receives a portion of the profits!